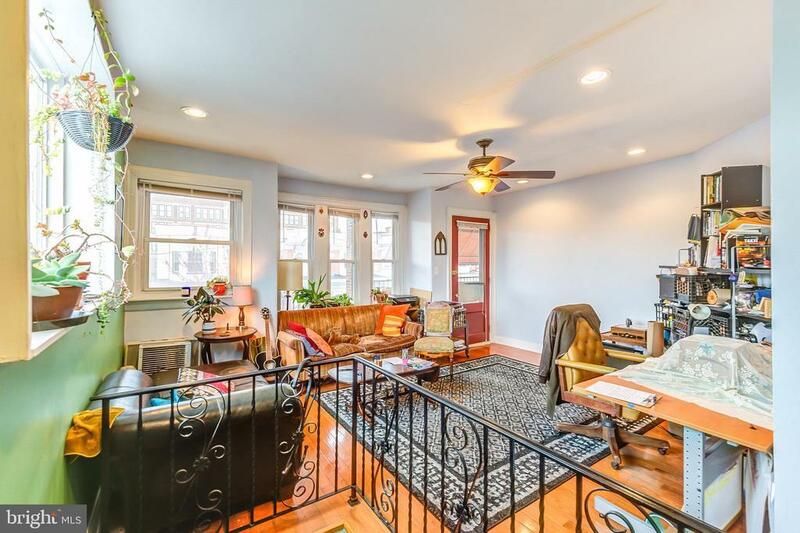 Beautiful updated Duplex on quiet tree-lined block in University City. Most desirable end-unit offers extra windows (south-facing) for superior light. Two 2-bedroom apartments, both with excellent outdoor space, hardwood floors throughout, great light, and nice layouts. Bight and lovely with terrific character. Renovated kitchens and baths. Building has separate utilities and mechanicals. Tenants pay all utilities (except water). Lovely, quiet, and convenient location with a 92 WalkScore and 99BikeScore/ Plentiful parking, Easy biking, close to public transportation, and near everything University City has to offer. Note--Plentiful street parking is available, but this property does not include parking. The driveway on the side of the home is an easement that must be left open.